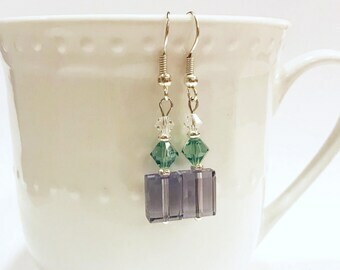 Unique polished stone earrings using authentic fluorite chips. 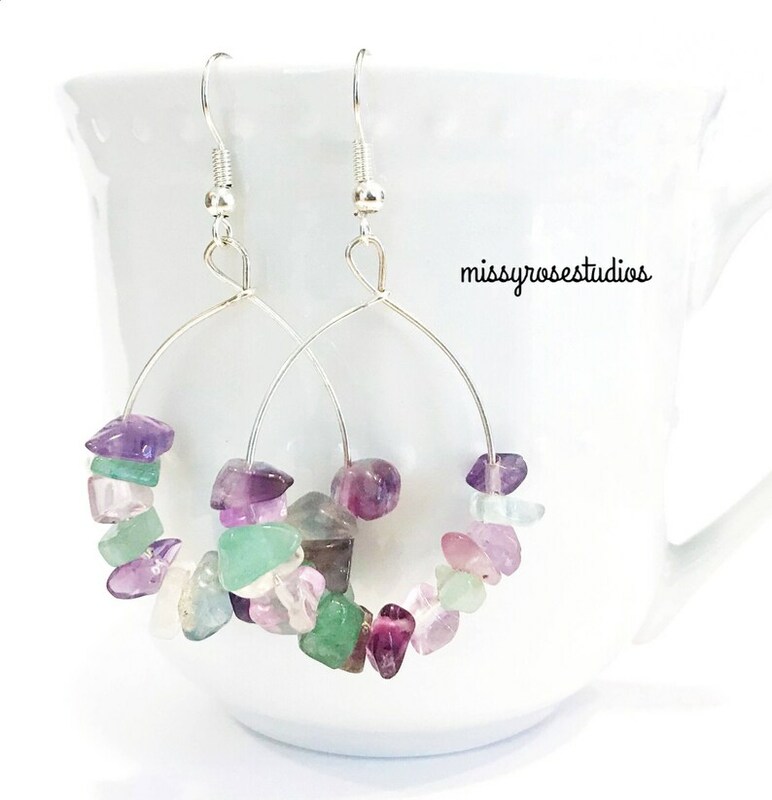 These rainbow fluorite earrings feature purple fluorite, green fluorite, and some light blue fluorite in small natural gemstone chips hung on silver hoop earrings. All metal is silver plated and hoops are delicately handmade. Earrings hang about 2" long (50mm) and are approximately 1.25" wide (31mm). Unique gemstone earrings make a great crunchy mom gift, gift for her, or best friend gift. Gift wrap option at checkout for an additional fee. We also carry natural soaps, beauty products, and soy candles.